Dinner recipes that are easy and nutritious? Yes, please! This time of year, many people are using their New Year’s resolutions as a way to create healthier eating habits. One popular diet is the paleo diet, which focuses on eating the types of foods that our pre-agricultural, hunter-gatherer ancestors ate. Although their are many iterations of the diet, most versions of paleo eating plans prioritize higher protein intake, lower carbohydrate intake, high-fiber foods and whole foods instead of processed foods. 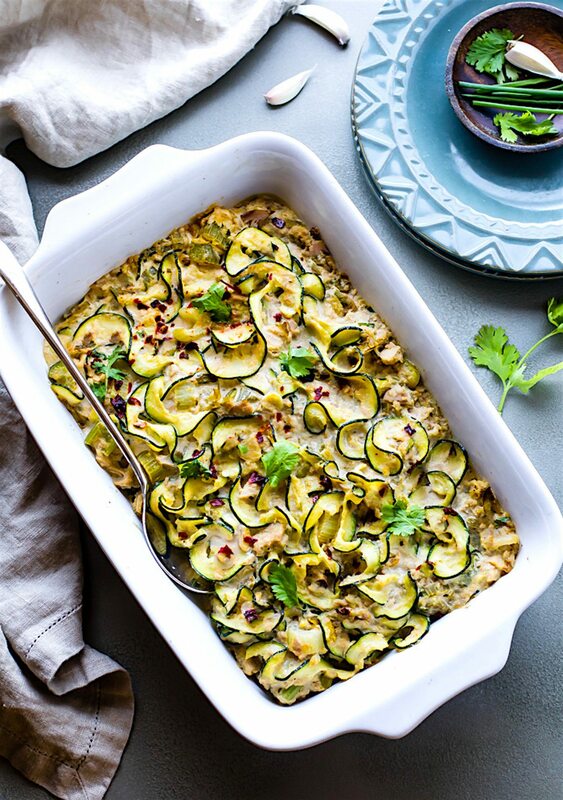 If you’re going paleo in 2018 to lose weight, get healthy or just see what all the fuss is about, you’re going to need some tasty recipes that are compliant with the diet at your disposal. And if you’re going to stick with it, the recipes need to be simple enough to execute. Read on for nine paleo recipes that are cinch to make! One thing that’s nice about the paleo diet is that because it’s focused on whole foods, you can eat a lot foods that you’re likely already familiar with, like chicken and veggies. 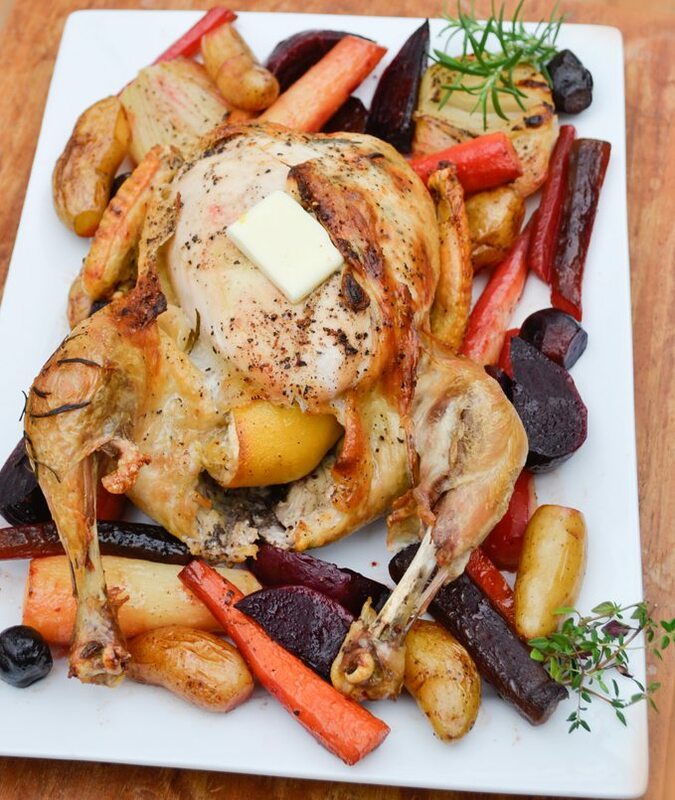 You don’t need any fancy ingredients or advanced cooking skills to pull off recipes like this simple one-pan roasted chicken with veggies from Going Cavewoman. Traditional pasta is out if you’re going paleo, but never fear because you can still enjoy comfort food classic like tuna noodle casserole. Only in this case, your “noodles” are actually made from spiralized zucchini. Get the recipe at Cotter Crunch. If you think pizza is off limits when going paleo, think again. 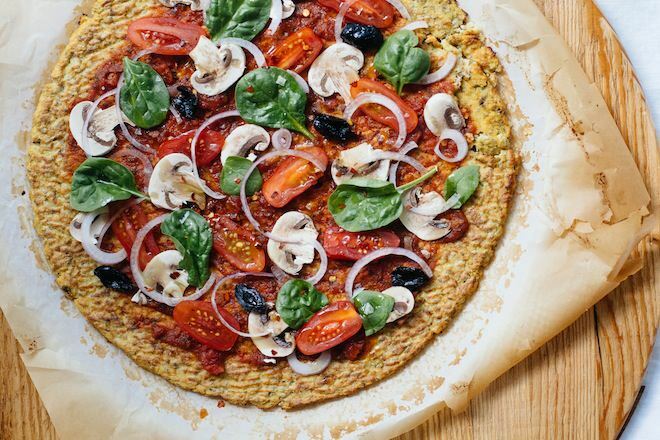 Simply whip up this cauliflower pizza crust from Nutrition Stripped, and you won’t even miss flour-based crust! Load it up with all your favorite veggies and seasonings. 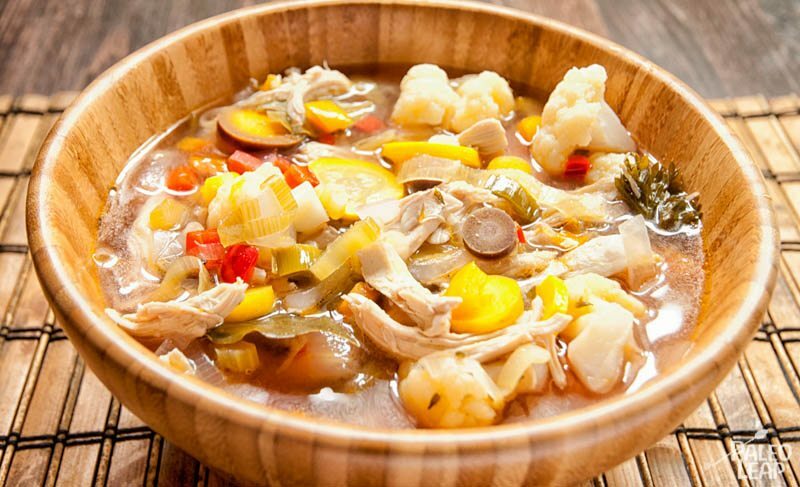 It doesn’t get easier than a meal you can make in the slow cooker. 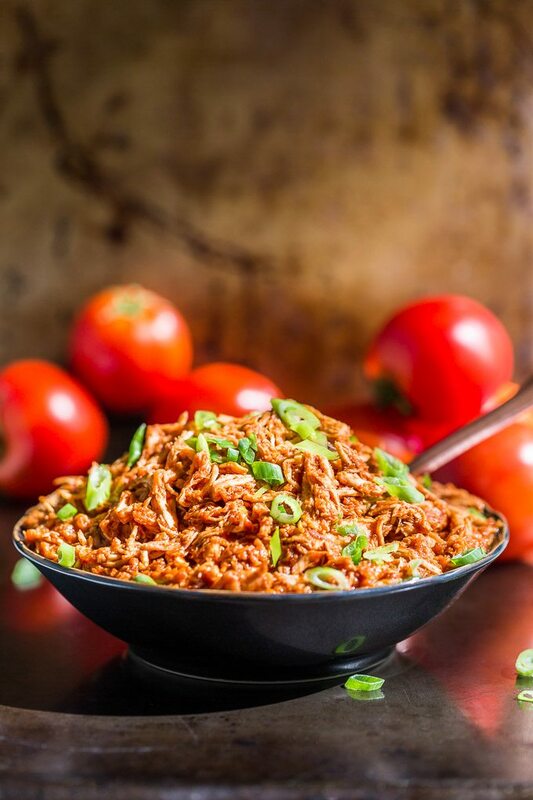 If you’re looking for a “set it and forget” it dinner, check out this slow cooker chipotle chicken from Get Inspired Everyday. 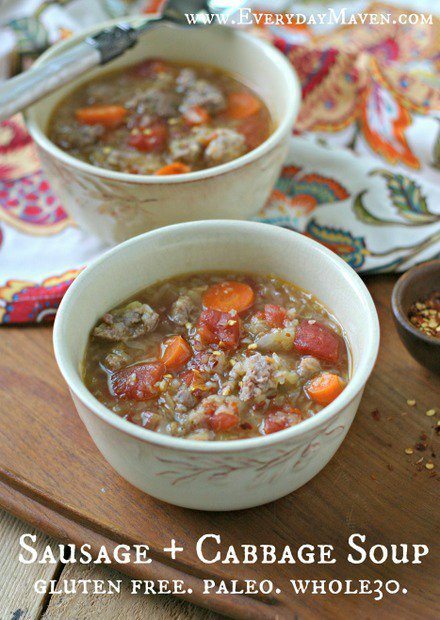 Italian sausage adds to a protein- and flavor-packed soup that would make for a great hot meal on a cold night. Get the recipe at Everyday Maven. 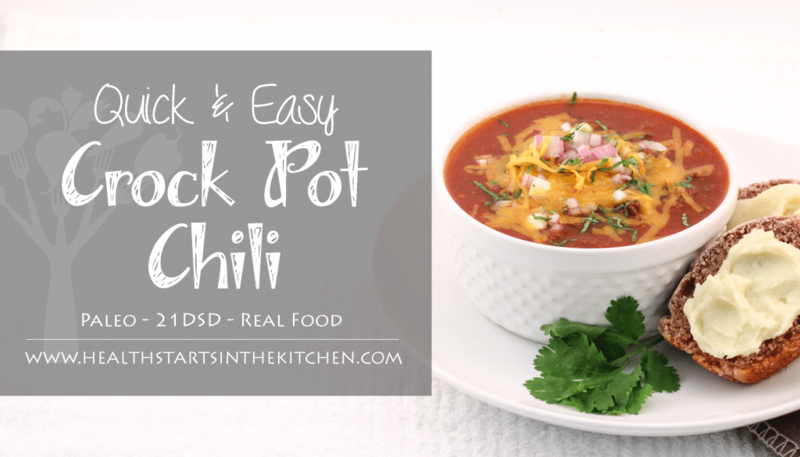 Chili is a crock pot staple that is great for feeding a crowd. Perfect for getting the whole family to try out paleo eating, this hearty chili from Health Starts In The Kitchen can be made as hot or mild as you want, depending on the peppers and amount of crushed red pepper you use. Chicken soup is good for mind, body and soul. This basic recipe can be modified with different herbs, spices and vegetables to suit your tastes. Get the recipe at Paleo Leap. 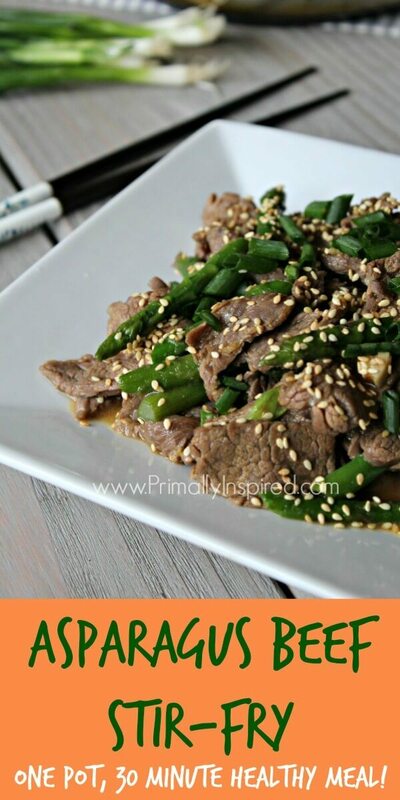 Marinating the beef during the day will give this stir fry more delicious flavor. If asparagus isn’t your thing, almost any veggie of your choice can be substituted. Get the recipe at Primally Inspired. 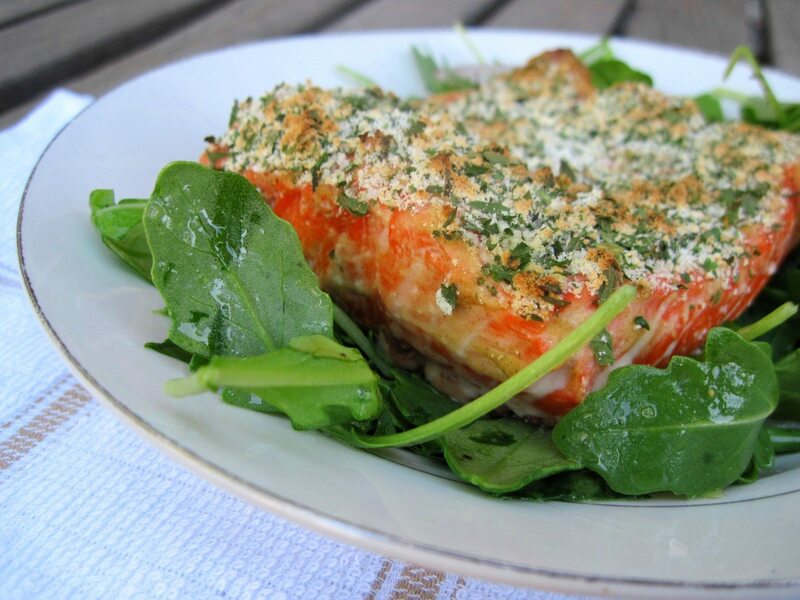 If you’re looking for a dish to impress guests, this herb crusted salmon from PaleOMG only looks like it took a lot of effort. Serve with an arugula side salad for a beautiful, satisfying dinner.